Everything changed when Tiffany Quinn disappears. Note: I'll most likely be reviewing the book version of Cryer's Cross in the foreseeable future...though it might be awhile. Cryer's Cross was just one of those books were the story and characters just get better the further into it you got. I had planned on cleaning my room while listening to Cryer's Cross, but by time I hit the final disc all I could do was lie on my floor completely absorbed in what was going on in the book and nothing else. Admittedly, I wasn't too surprised when it was revealed who knew/suspected the truth of what was going on. I had kinda started to guess early on, but didn't much think about it. While I also wasn't surprised with how things ended between certain characters in the book, I liked the way that they did. Did you really think I was going to tell you, if I did it would giveaway one of the best parts on the book. Kendall was actually a pretty interesting character to read about, especially since I don't think I have read a book with a character whose OCD was as bad as hers was. 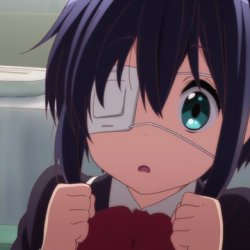 Even with that minor quirk, I think Kendall was actually a pretty strong character, both personality-wise and written; she also gets points for playing soccer (one of my favorite sports). I like scary books, so you'll totally understand why my favorite part of Cryer's Cross was the creepy paragraphs that were scattered throughout the book. The were truly creepy, and they way they were read on the audio book just intensified that creepiness. Loved it. As I stated below in my thoughts on the narration, I didn't much care for the voices of the male characters. I felt that they were a bit bland, but that could have just been the way they were read. Definitely looking forward to reading the book so I can compare. I would just like to say that Julia Whelan did an excellent job as the narrator for Cryer's Cross, and I would definitely consider listening to her on another audio book if given the chance. Having never read Cryer's Cross I was a bit surprised when I noticed that the story was told in third-person, especially since I haven't read many like that, but it was shockingly perfect and probably wouldn't have been nearly as good told from a different perspective. The only draw back to the narration was the few times Ms. Whelan had to do, say Nico's voice, they all sounded the same, apathetic and frankly kinda of dopey or like they were on something. While I didn't much care for the way she voiced the males in Cryer's Cross I loved her portrayal of Kendall, and thought that she did a really great job with her. 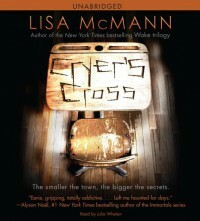 Final Verdict: Cryer's Cross is the creepiest thing I've read this year, and I absolutely loved it for that. Cryer's Cross (audio) earns 5 out of 5 pineapples.